Please note that we can not accept medications of any kind, baby formula or furniture. To donate food, seasonal clothing items or to volunteer to assist in the Choice Pantry, please call 561-3932. Office hours to receive donations: Monday-Thursday, 9:00-4:00 at the Newtown location and Wednesday-Friday, 9:00 to 3:00 at the Amelia location. Or, to make a financial donation, please click this link: DONATE NOW! Hold a Food Drive at your school, with your Girl Scout or Boy Scout troop, or in your neighborhood. Click here for tips on hosting your group's collection drive. gift wrap and a small gift to leave at the Pantry for those who may not have the means to celebrate a birthday. Donate school supplies and Payless Gift cards for our Back to School program. Holiday food, turkeys and hams will help fill our Adopt-a-Family program needs. Cash donations are very much appreciated! 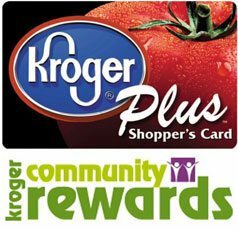 Sign up for Kroger Community Rewards and select IPM as your charity to receive the rewards. Put IPM as your charity on your Amazon Account! Use this link to sign up!